Professional business PSD templates will help you to make any website like corporate, financial, professional, agency or other business. All website templates design are very elegant and modern and also very easy to customize with fully layered Photoshop PSD files. The Psd template designs can be easily implemented in many open source platforms such as WordPress, Joomla, Drupal, etc. Keep the focus on what you do by using this simple, flexible and elegant template. The PSD files are fully layered and customizable and all elements are in groups and can easily identify by the group name as well. It’s based on 1200px Grid and can be easily converted into responsive HTML, WordPress or Joomla. Milkyway – Interior Design, Home Decor Business PSD Template is an ideal place for you to start up. It is one of the most amazing PSD templates that you can’t ignore. It fits for any kinds of furniture shop, deco store, interior stores, tools shop, home decoration, etc. Milkyway is outstanding with elegant & modern colors and refined styles in design that makes a great impression on customer’s eyes. Ink Arts is a premium PSD template for tattoo artists and salon. The theme comes with all bells and whistles necessary for real tattoo salon website. It comes with great gallery, thought through front page, appointment manager and shop page. The theme is carefully crafted with further conversion to WordPress and HTML in mind. Astero design is presented in different color compositions, there are light colors, bright and positive or modern dark and brown colors. To your attention 20 home page layouts, a lot of blog and portfolio styles, all the necessary shop pages including payment and wish list, more than 250 unique elements. PROSPECT is a Creative PSD-template suitable for a wide variety of businesses. Its fresh and clean design outstands this template from others! It makes the template applicable for IT-companies, Business, Corporate, Portfolio, Freelancers, Design Agency, Personal Blog or any other type of sites. Klambi modern fashion template for fashion store and fashion enthusiast. It’s modern and minimalist design puts your products in focus. Easy to custom, Well Layered and properly named. Styler it has nice & clean design PSD Template made for Creative and Minimal Sites. All files are well organized and layered for proffesionals.You can use this template for creating website based on any framework and any language. Vision is a clean and multi-purpose PSD theme suitable for any type of business: 37 total PSD files ! Its loaded with options,7 home pages for personal, business, online store, boxed and wide version, 6 categories products, 11 blog options, a full set of Blog, E-Commerce pages and so much more. WARMSHOP Minimal E-Commerce PSD Template. This is a designed website template designed in Photoshop with a modern look. PSD files are well organized and named accordingly so its very easy to change any and all of the design. 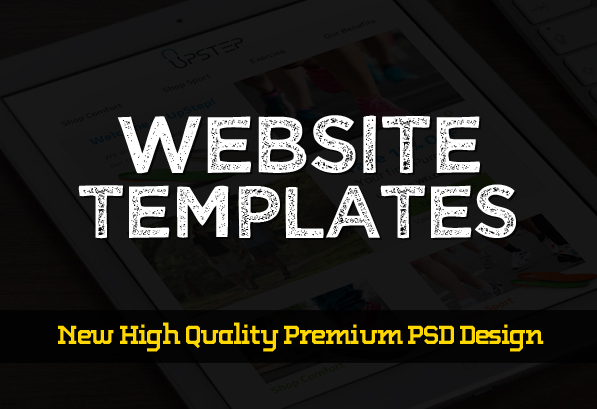 Template files are built to be 1170 px wide. Markhor is a creative multipurpose PSD Template for Agency, Startup, Business, Factory, Real Estate, Construction or any type of website. We have planned the UX very creatively so that you can easily put the design to your website. Everything is already made for you! Advent is professional, modern crafted PSD template which can be used for event, conference, meeting and related to any event program. Here you will get 14 layered PSD with easily customizbale layer with pixel perfect design With 3 different Home version. Start – This is One Page App Landing PSD Template. It is designed with Circle Based Unique and clean & modern Look. It is very useful to marketing and promote you App website and it is also useful for mobile games showcase or any application website. Zaser is a multipurpose PSD template standing out from other ones. First, it covers all your needs with thorough homes. Second, it’s beautifully designed in a very smart way to bring the best user experience.